A lifelong love of gardening should not have to end as mobility and other issues arise in seniors. The leisure pastime provides exercise, stimulation, accomplishment and a host of other benefits that are healthy for the mind and body. Nurseries and garden centers are heeding the special needs of older gardeners. 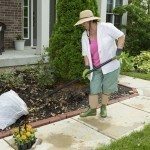 There are numerous gardening tools for seniors and methods to assist a gardener that is experiencing the march of time. Senior gardening activities may require some adaptation and knowledge on elderly accessible gardens. Low stamina and limited mobility are two of the biggest impacts of aging. Continued enjoyment in the garden may be diminished if it is difficult to get around or the routine of work is too vast. However, there are some simple things that can be done to make the garden a continual place of enjoyment. Choose easy to grow plants that are tolerant of difficult conditions. Build raised beds that have enough room on all sides to reach the center. Place stools or resting places around when creating an easy car senior garden. Gardens for senior citizens should be simple and contained, with fencing to provide security. Provide pathways that are easy for walkers, canes or wheelchairs to access. Conditions, such as arthritis, make holding tools painful or even impossible. There are foam grips you can add to existing tools to soften the handles and add traction. Stretching also becomes an issue but is easy to solve with a myriad of “grabbers” and extension poles. These may be used from a sitting position. Brightly colored handles are essential gardening tools for seniors that are beginning to experience vision problems. You can make these easily with colorful bike tape or even the multi-hued duct tapes available. One of the most useful items for the senior gardener is a wheeled garden caddy. These act as a perch, a container to hold tools and provide an easy cart for moving heavier objects. Gardeners with patios or lanais benefit from coiled hoses that you can attach to your kitchen faucet. These help prevent injuries that might result from hauling heavy watering cans. Enjoying gardening late into life provides more than health benefits. The successful senior gardener can also stretch his/her pocketbook. Seniors are usually on fixed incomes and may find it difficult to afford some necessities. Growing food in the garden stretches the tight budget and ensures a well-rounded diet. Seeds are cheap and there are methods of easy sowing for elderly gardeners. Use gardening tools for seniors such as seed syringes, seed tape and seed with the soil mixed in. When dexterity is an issue, use transplants, which are large enough to grasp and install in your beds. A very low risk and accessible method of gardening for older persons is container gardening. Containers should be on casters or stands for easy moving and made of lightweight material. Senior centers and retirement communities excel at providing elderly accessible gardens. Senior service groups, and even churches, are excellent resources for help in setting up your easy care garden situation as well as senior gardening activities. A little thought and planning can ensure safe and productive gardens for senior citizens. 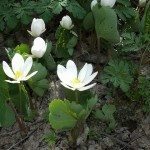 Read more articles about Accessible Gardens.